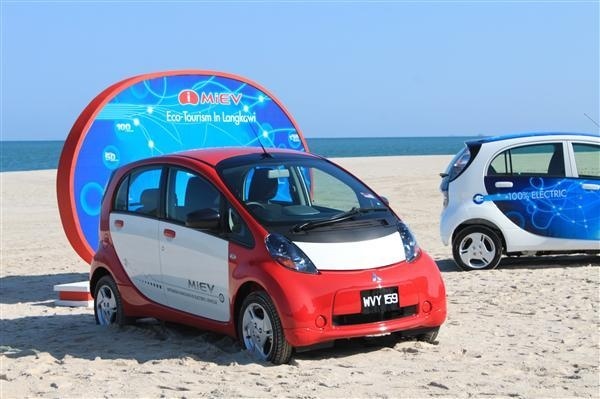 Aimed at environmentally-aware people and companies, Mitsubishi Motors Malaysia (MMM) plans to launch its first fully electric car in Malaysia, the i-Mitsubishi Innovative Electric Vehicle (i-MiEV), by the end of this year. The company is now in the final stages of market research to determine the vehicle pricing for Malaysia. Unlike hybrid vehicle such as the Toyota Prius and Honda Insight, the i-MiEV is a fully electric car. Mitsubishi Motor Malaysia is targeting sales of 50 units in the early stages. Since its debut in Japan, the i-MiEV has attracted a lot of attention worldwide, following its introduction in European markets at the end of 2010 and launch in North America at the end of last year. Japan pricing for the G and M model - 2.84mil yen and 1.88mil yen (RM108,381 and RM71,745) respectively. Prices after the government subsidy. So, we have some idea of what kind of price range we are expecting for the Malaysia market. In Japan, the government subsidises 50% (and up to 1 million yen) of the price difference between the electric vehicle and a similar class petrol model. Of course, this scenario is only in Japan. Similar or better subsidy plan in Malaysia is welcomed! Malaysians should be given the opportunity to purchase their own electric vehicle and make the choice for a greener future. Special tax incentive that is more favorable to the general masses should be formulated to encourage the use of such vehicles. As far as we know, presently tax incentives are available only for hybrid vehicles. Data in this article were sourced from Bernama.
. I really enjoy to drive this car.